Sometimes when you come across a concept that is so revolutionary it blows your sock off. (At least we have sock in Wales) This product was introduced and used at the Frwti/Cymru Fyw session at Hacio’r Iaith as a low cost means of providing instantaneous translation using Android powered devices. This means that the cost of supporting bilingual meetings is lowered substantially and with the apps installed bilingual meetings can be held more informally than in the past. O Glust i Glust (from ear to ear…) are 2 Android apps to enable instantaneous translation between two android smart phones/tablets. One app is for the translator and he/she talks into the microphone on their device. Up to 10 other android devices who have the listening ap installed can link into the wireless signal coming from the translators device and listen to the translation via the earpiece or headphones. 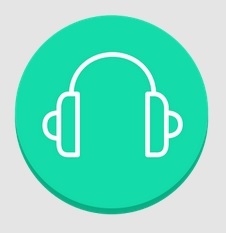 The listening app is available for free download on Google Play whilst the translator’s app is available by request from the developer through the GooglePlay web page. It’s at the beta stage at present but needs testing. The developer is looking for beta tester. The apps have been developed for Menter Môn a third sector company to facilitate rural economic regeneration on Ynys Môn.